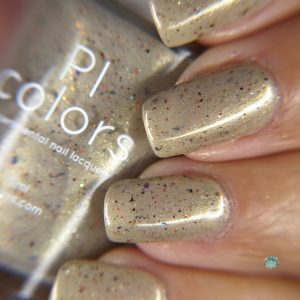 April Polish Pickup and Indie Pickup Release! Hi everyone! Polish Pickup and Indie Pickup for April is just a few days away! 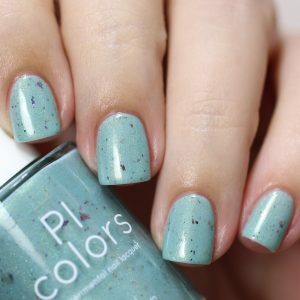 We will be releasing an exclusive polish for PPU with a companion polish (available here on our site!) 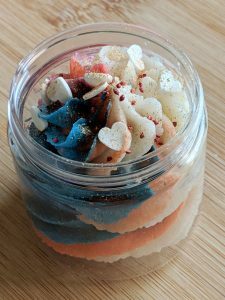 and one limited edition sugar scrub for this month’s theme of “Famous Art”. Our products were inspired by Bakufu Ono’s Turtle Dove and Cherry Blossom, a lovely muted color print filled with greys, golds and delicate hints of pinks, oranges, reds and turquoise. We hope you enjoy these lovely additions to our shop! Turtle Dove.102 and Peach Blossom Whipped Sugar Scrub are available April 5 – April 8 at Indie Pickup and Polish Pickup. Green Blossom.102 is available starting April 5, here on our site! Turtle Dove.102 is a warm taupe color with holographic and golden shimmer, plus UCC flakes in blues, green, bronze, and purples. A touch of white holographic glitter and red glitter brings all these colors together. Opaque in 3 coats. 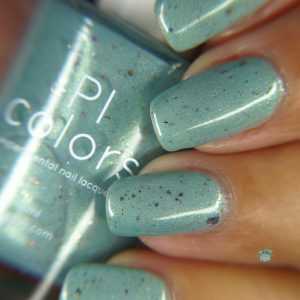 Green Blossom.102 is a lovely pale turquoise color with holographic and golden shimmer, plus UCC flakes in bronze, blues, and purples. Opaque in 2-3 coats. Companion to our April 2019 Limited Edition Polish Pickup polish Turtle Dove.102. 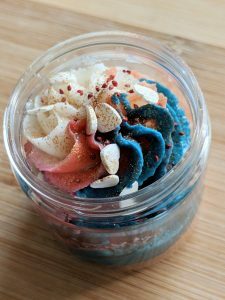 Peach Blossom Whipped Sugar Scrub is a delicious buttery soap and sugar scrub combined. Contains organic cane sugar and cranberry seeds to provide a gentle exfoliation. Scented with a mix of fresh freesia, apricot, peach, guava, mango, and papaya notes. Colored with a swirl of white, red, orange and turquoise mica, sprinkled with gold mica shimmer, yellow sugar, turquoise bio-glitter and white sugar hearts.